A few years ago, probably 2012 or so, there was a right old kerfuffle when some bright spark fitted a skateboard with a petrol engine, and the craze for powered personal mobility took off. For the first time, a semi-viable alternative to a bike was available and early adopters took to the idea as a commuting option. It didn’t last. The UK government decided the idea was silly and stories started to appear in the red tops saying that users weren’t contributing to the road fund license in the way other road users did (ignoring cyclists, of course). Then came mini-bikes: the scourge of common land at weekends when dads turned their kids loose on waste ground. More headlines and an occasional sad accident saw the end of another passing consumer trend and a flood of unwanted Christmas presents on eBay and Gumtree. But things are changing. Welcome to the age of fully sanctioned, free-from-surcharge, powered mobility for the masses? E-bikes will change your journey options and give us democratised mobility for the 14 to 104 age range. What’s changed? Technology, that’s what. Today, the gradual realisation among road users that cars aren’t the only option for getting to work is helping a new market expand: the electric bicycle. 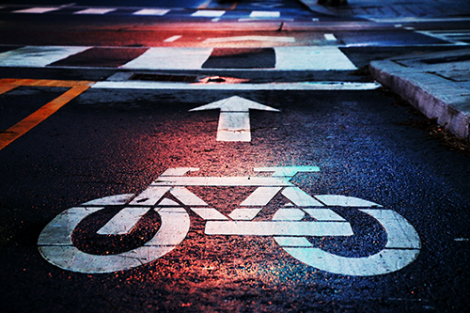 Increasingly difficult road conditions and congestion have seen a rise in the use of bikes as a commuting solution. Not so much that the UK has invested in significant infrastructure developments, but enough to cause a blip on retail indices. In response to Team GB’s success at the 2012 Olympics, and by Brits in high profile road races, weekend warriors have been out and bought carbon bikes that now get them to work and into triathlon and other bike-based pastimes. The recent development of (almost) affordable electric bikes has seen the age of cyclists rise too. A realistic 40-60 mile range gives new life to older legs. The price of e-bikes is still pretty high, but we can see the trend in downward prices and greater choice. Not all schoolkids will be getting an e-bike for Christmas, but some might. Why is an e-bike allowed when powered skateboards weren’t? According to Electric bikes: licensing, tax and insurance “You can ride an electric bike in England, Scotland and Wales if you’re 14 or over, as long as it meets certain requirements. Now, take a look around the world at what’s going on in urban centres. Powered scooters are a serious Metro alternative in many EU and US cities. Not so much in the UK, but it’s an observable thing now. E-bikes are entering sectors where bikes previously didn’t get a look in: mountain biking, general leisure, shopping, commuting and so on. In the 1970s, sixteen-year-olds used mopeds as their ticket to freedom and independence. 50cc motorbikes fitted with fold-away pedals were de rigueur. Recently, Harley Davidson released first sight of its Livewire project, originally announced in 2014, with bikes ranging from full-size Harleys through lightweight urban vehicles to e-bikes. What are the chances that fold-away pedals get a look-in along the way to blur the edges between a bicycle and a motorbike? Are other brands doing similarly? Of course they are. Look at Citycoco for an existing alternative. The striking thing about these developments is that they are happening now and will mushroom over the next 18 months. These aren’t local influences affecting notorious early-adopting cities like LA, Amsterdam or Shanghai. These are global trends that are limited only by availability of a newly feasible product. Wherever you live, and whatever your major annual festival looks like – if it involves giving gifts, the next year is going to mark a significant and seminal moment in mobility evolution.